For the vacant WBC Silver title with the fight made at 78,5 kg. Kessler had a bad first round as Green established his jab and landed with a left hook that shook the Viking Warrior, who held on as Green opened up and it seemed as if he off balance was wrestled to the floor - and was counted over. Kessler came up smiling and finished the round with a sharp right-left hook combination. The round was scored 10-8 for Green on two cards and 10-9. In the second Kessler found the range for his stiff jab up- and downstairs and Green faded fast. 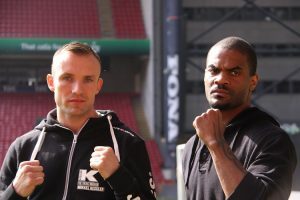 Mikkel tried several times with his left hook, missed but got closer and connected once. Green retreated into the ropes and waved Kessler on but was shaken. In the third the writing was on the wall with Kessler pouring it on and Green falling apart. 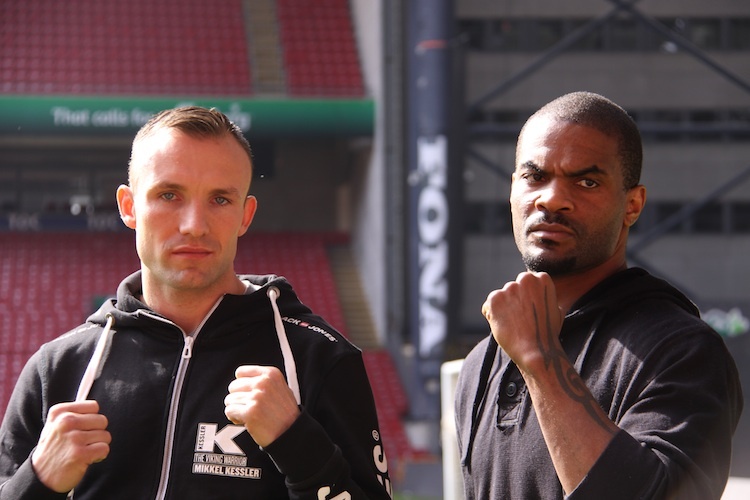 Early in he fourth Mikkel connected with a devastating left hook and Green went down and out with no count issued. It took some time to revive the American. 28-28 twice and 29-28 Kessler after three. 60-54 on all cards. Shortend for the same reason as Keller vs Pompilio. Nespro came to survive and did that while the Danish southpaw was out to impress, failed in that and lost his temper - and could well have had a point deducted for his actions. 40-36 on all cards - shortened from six to four after the Champion´s League finals dragged out in time with extra time and penalties. Pompilio was busy and awkward and Keller had some problems with his non-stop movement but won clearly. 99-90 twice and 99-91. Miles was down at the end of the second but no count issued. It was still scored 10-8 on two cards. Masternak dominated the action but Miles put up a gutsy performance in lasting the distance. 40-36 twice and 39-37 but it looked closer than that with Mihajlovic agressive but at times ineffective while Smaadal scored with the cleaner punches. 80-72 on all cards. Skoglund scored with his jab but had problems getting to Sosa, who proved to be a tough survivor. Iljusenko down in the second. Parsins down in the first, second and third. Amar forced to retire with a dislocated shoulder in a fight between two localites. Modugno retained the Italian title flooring his mandatory challenger in the first, second and third rounds before it was stopped. IBF I/C title, scored 118-113, 117-111 twice. Stefanovic cut in the first. Big upset as Kentikian lose the WIBF/WBO titles on scores of 96-94 twice and 95-95. McCall, a two week sub for Francois Botha, lose on scores of 97-93, 98-92 and 99-91. 6x3; Felix Lamm, 63,5, Ger W6-U Said Harkimov, ? 60-53 twice and 59-54. Harkimov down in the fourth. German debut for Lamm, who turned pro in Australia.